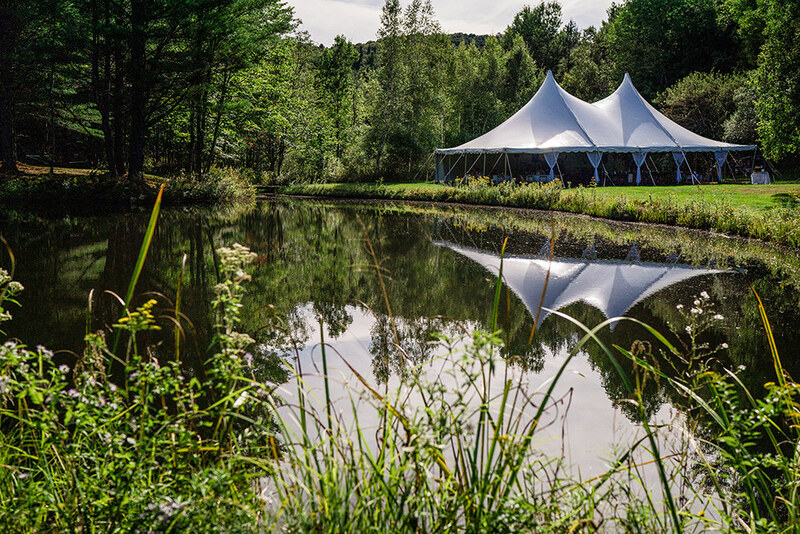 Century tents are high peak tension tents that rely on the tensioning of the fabric roof for its structural integrity and shape. There is no interior frame work visible under the tent as the vinyl fabric roof is supported by center poles which creates the high peak look. 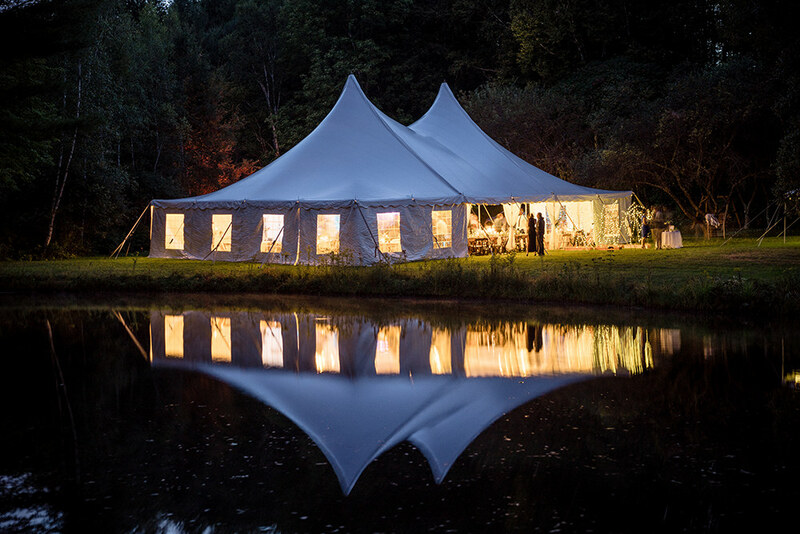 Tension tents have more of a modern design and feel than the traditional frame tent. The Century tent has the more traditional square or rectangular shape which differs from the Module tent's rounded appearance.